It is not always easy to find new applications that are worth seeing. The developers are struggling to create new ones but the competition is so tough that many go unnoticed as the Play Store is full of applications. Below you will find 5 apps that might interest you this week. This game was introduced on our forum by its developer. The principle is childlike simplicity: you see on the screen several circles of color and you must tap on the one that has a color that no other circle has the screen has. Of course, we must act as quickly as possible, the wrong answers are wasting time and when it is over, you lost the game. In practice, the game is not as simple as it seems to be. The beginning may be particularly easy (which would not distinguish a yellow circle in the middle of red circles, oranges and purple? ), Some difficulties appear throughout the game. 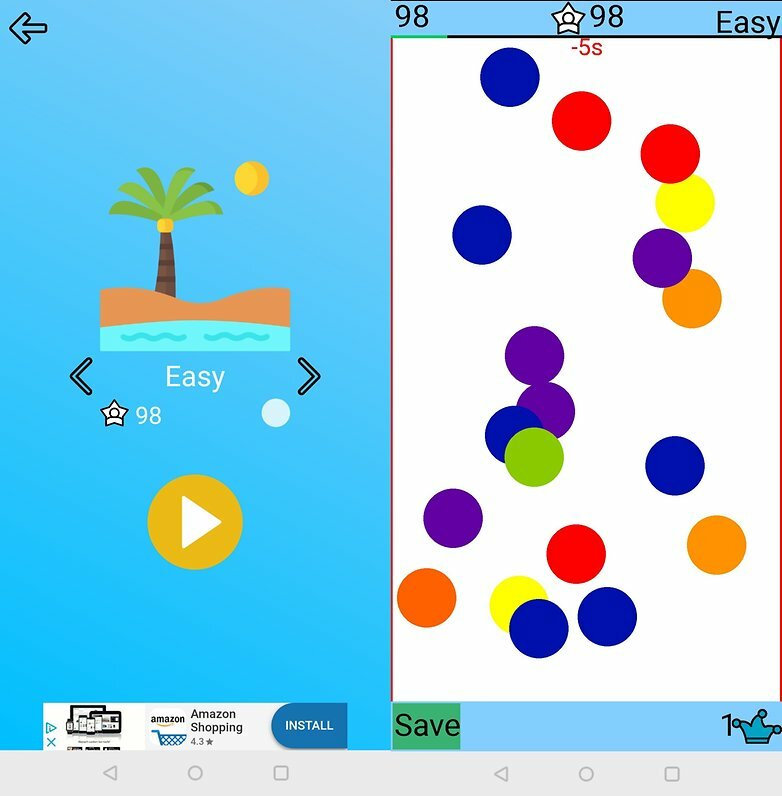 You can find the app on the on the Play Store . The relationship between this application and Japan to which the title refers is perhaps not the most obvious, but it is Japanese art here. 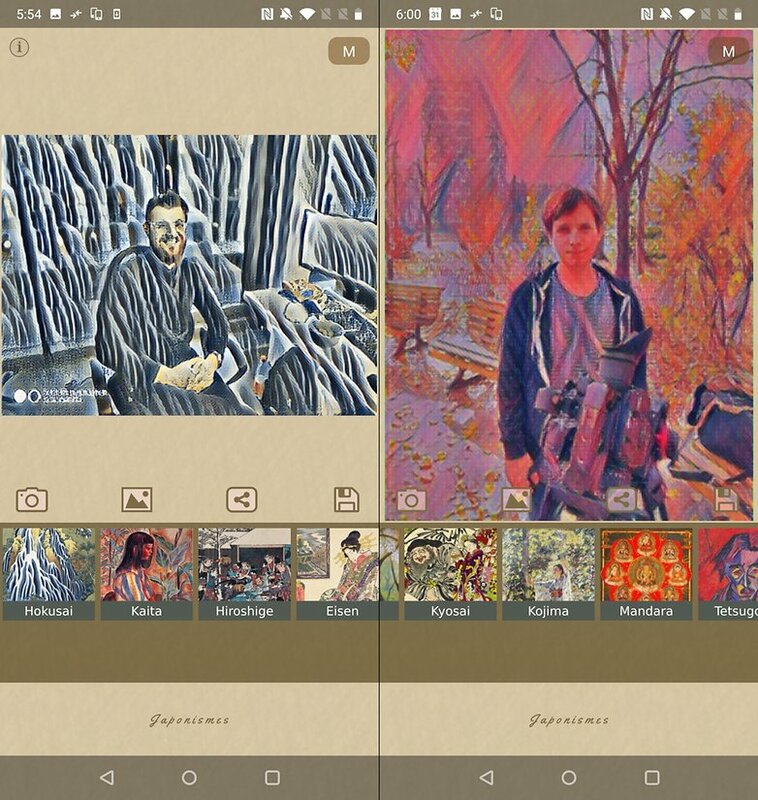 The application adds IA filters to your photos to give them a style worthy of modern Japanese art, the developer referring to artists such as Hokusai, Hiroshige. Many filters are available, the idea that we can do each of them is very subjective but some are really pleasant. Looking for a good app in 2019? In many ways SenSense is an original game. First, it is not played alone but at 3 so you must have 2 friends on hand (or available to communicate on the Internet in visual and audio), you can then create a part or join an existing one. Indications will appear on the screen and the players will have to communicate together to find a solution, the problem is that one of the players is deaf, the other blind and the last dumb, so to say that the communication is difficult is a euphemism. Even worse, you are timed. This is a fun and very interesting game to play with family or friends, very different from the concepts of single player or multiplayer classic. As the name suggests, this application offers graphs (and numbers) on all your sensors. Whether it is the brightness of the screen, the battery and its temperature, the compass or another sensor, or even something like RAM, the application offers you to follow the status in real time, the day and even of the month. The average user may not be interested in it, but geeks and curious people will probably appreciate it. You play as a white haired woman and your goal is to get you from one point of the map to another, as in the good old games of yesteryear. So you have to run your character in different directions and blow him up to catch the rewards in his race before arriving safely. The laws of physics are not really present in this game, the environment turns a little in every sense and your character can make jumps that would make a sensation at the Olympic Games, but the game is fun and that’s the main thing.